New data from a Reuters poll of analysts suggests Samsung may have dethroned Nokia as the global cellphone leader. Nokia had previously held the crown for 14 consecutive years. Data culled from a Nokia sales announcement on Wednesday, along with the continued popularity of Samsung, indicates the South Korea-based company has surpassed the Finnish handset maker by up to 5 million in sales during the January through March period. While Samsung has yet to release its quarterly numbers — it will publish those in its earnings release on April 27 — analysts expect the company to reveal handset sales nearing the 90 million mark for the quarter. Nokia, on the other hand, sold 83 million units during the quarter. Samsung has been bolstered by a lineup of strong Android smartphones: from its Galaxy S II, to its most recent Galaxy Note, which racked up impressive sales over a short period. The company’s sales promise to get stronger, too. 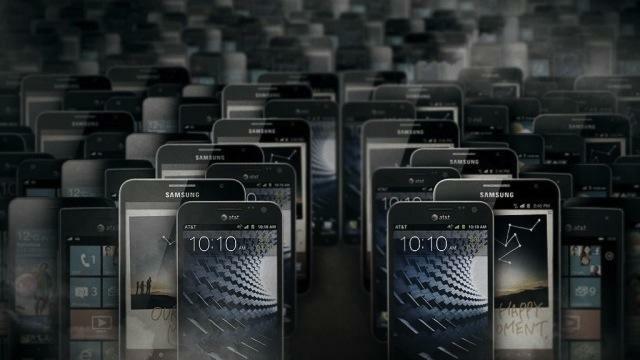 The company has reportedly already received a record number of preorders from carriers for its Galaxy S III smartphone. Conversely, Nokia has struggled to keep up in the fiercely competitive smartphone race, but its presence in the lower-end market has helped it maintain the top spot as the world’s largest cellphone maker by volume, Reuters said. The Finnish company is starting to chip away at the smartphone market, however, and recently announced that it sold two Lumia-branded million devices. In addition, the company is less than a week removed from the release of its Lumia 900 — which TechnoBuffalo loved. That device is also already exceeding AT&T’s sales expectations. While analysts agree the prospect of falling to second spot would undoubtedly be a big blow to Nokia’s reputation, it’s unlikely to hurt the company’s attempt to recapture the popularity it once enjoyed in the early 2000s. Only time will tell if its current partnership with Microsoft pays off. If it does, the company may yet again hold the crown as the world’s largest cellphone vendor by volume.